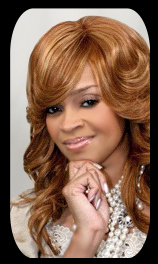 In this session, Gerard Hall, Danielle West, Martin Williams, Traci L. Buckner and Nakiyah Hayling examine Karen Clark Sheard's new single, "Prayed Up". 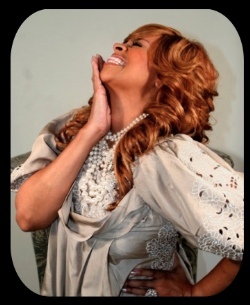 Karen Clark Sheard has been a mainstay in the Gospel music industry for almost three decades, whether as part of the Clark Sisters or as a solo artist. You can't talk about artists who have tremendously impacted Gospel without mentioning her name. There are so many hits and so many memories that people could sit and talk all day about what her songs mean to them. With her recent launch of her own label, Karew Records, many are waiting in high anticipation for her April 2010 release. The lead single from the project, "Prayed Up", marries the DC Go Go music sound with those signature Karen Clark vocals. What is Go Go music? Go Go music relies heavily on percussion and involves a great deal of call and response. Tye Tribbett's "Victory" is a great example of Go Go music, and who can forget the group, E. U, a very popular group in the 80's. Enjoy the roundtable review of "Prayed Up"! Danielle West : studies at Georgia Southern University majoring in Business/Child Family Development. She is a singer, having sung background vocals for artists including Claude Deuce, Doobie Powell, Jonathan Nelson and Regina Belle. Danielle West: What can I say?! "Prayed Up" is definitely a HIT! I love her upbeat music (that horn section is driving me craaazzzyyyy!!!! ), powerful lyrics, and those classic KCS riffs and runs. This is definitely a song for all ages! With catchy lines like ("we need to be praaaaayyyeeedd up! Need to be praaayyeeeddd up!) and a funky bridge ("I have the power over the enemy. I can command him to take his hands off of me. I'm covered by the blood of Jesus to be set free. In the end we're gonna win cuz he has got to flee! "), this song is definitely a crowd pleaser! Gerard Hall: Although it is a hip song, I'm not sure how well this will take off in mainstream gospel. There were quite a few people who could not get with her It's Not Over album as she was considered "out of her element". Danielle West: I can somewhat agree with Gerard. A lot of people have just limited "Gospel" music to just your basic organ, piano, bass, and horrible background vocals, LOL... BUT... I think Momma Karen is going to be a trailblazer of the change I have already seen flow through the gospel music industry. Martin Williams: I must say that this new direction that Karen is going in, is very interesting and refreshing. I think both her and Dorinda have somewhat tried to make it known that they wanted to be the cutting edge Clark Sisters, if you will. Keeping their old school style yet mixing it in with the sounds of today. I agree with Gerard, you started to see the new way she was flowing when It's Not Over was released. 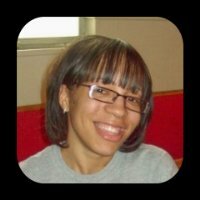 Danielle West: Big ups to Mrs. Sheard and JDS for creating a HIT! 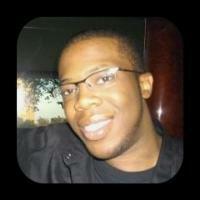 Martin Williams: J. 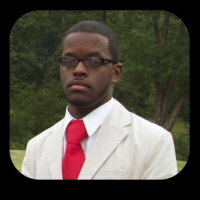 Drew Sheard is really doing his thing, and is really moving his family forward in music. Let's not forget he was involved in the Clark Sisters, One Last Time album, which gave them their first Grammy Awards. We are seeing that even with his latest contribution on James Fortune album, that he has his own direction and format of producing his material, and being that his mother has used him on the past couple of albums, you can tell she trust his ear and judgment when it comes to producing material for her. 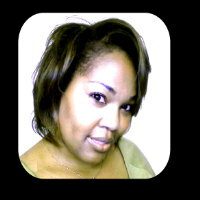 Traci L. Buckner: I believe there are many, who like me, feel it is TIME for something new! We aren't the same audience we were ten years ago and Sis. Sheard isn't the same artist she was ten years ago. "Mainstream gospel" needs to recognize that a new approach is needed and necessary. Nakiyah Hayling: "Prayed Up" offers a wonderful blend of traditional lyrics and a "hot" contemporary track. It can absolutely have a broader appeal because of this unique blend! Gerard Hall: I agree with Danielle as the song was tastefully done. Martin Williams: I agree with Gerard and Danielle the song is hot! Karen has a real strong attitude and delivers on the song. The lyrics and vocals are hitting you right in the face, which expresses the importance of the song, telling you if you haven't prayed yet, due so immediately! Traci Buckner: I agree Gerard, I too appreciate the more complex instrumentation and poly-rhythms under the Word-supported lyrics. Gerard Hall: I applaud Karen and J Drew Sheard's collaboration on this track to intend to appeal to all generations. Nakiyah Hayling: I agree, the song immediately catches your ear with its infectious tune, and then captures your thoughts will that familiar phrase that we've all heard in church, "we need to prayed up". Martin Williams: If this is a taste of what her first album on her own label is going to be, you already know that it's going to be a success. With Karen recently winning her fourth Grammy this year for her collaboration with Pastor Donnie McClurkin, I believe the entire Music Industry has their eye on her, and her success and ministry s only going to go higher. Traci Buckner: I'm happy for her and assume that with her own label, she has more freedom to express herself musically. I'm really looking forward to hearing what she's been working on and curious to see the other artists to be presented by Karew Records in the future. 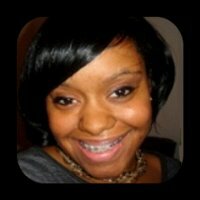 Nakiyah Hayling: I am excited about what is forthcoming from this album and Karen's new label. It is important that music is relative, progressive, yet familiar. I am convinced that this album and new label with provide that. I expect it to cover all facets of the market with an eclectic sound. Danielle West: Karen is definitely a GREAT example that going about music in a more organic fashion (independent) really isn't a bad thing! Indie labels are on the uprise and I am so excited for KCS as she takes this new journey!